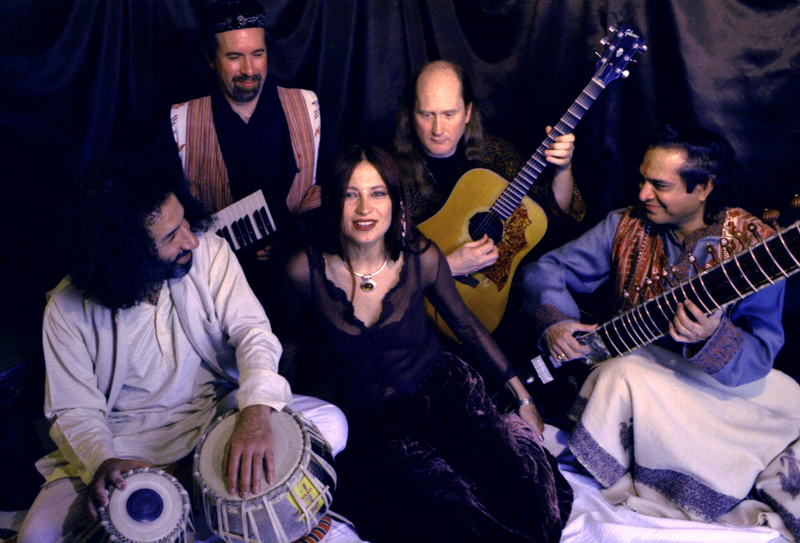 Friday, November 22, 8 p.m., Ancient Future concert featuring Irina Mikhailova, Matthew Montfort (scalloped fretboard guitar), Doug McKeehan (keyboards), Emam (tabla) celebrating the mainstream release of Planet Passion, Open Secret, 923 C St., San Rafael, CA. $12 adv., $15 door. Contact Open Secret at 415-457-4191. Saturday, November 9, 7 p.m., Sitar and Guitar Jugalbandi featuring Ustad Habib Khan (sitar) and Matthew Montfort (scalloped fretboard guitar) with Emam (tabla), Sangeetha Concert Series, Ethical Society Hall, 9001 Clayton Rd., St. Louis, M0. $15 non members, $10 students/seniors, and FREE for Sangeetha members. Contact Metrotix at 315-534-1111. Tuesday, August 20, Ustad Habib Khan concert featuring Matthew Montfort (scalloped fretboard guitar), Patti Weiss (violin), and Arshed Syed (tablas), location TBA Twin Cities near Modesto, CA. Contact Shoba Khan at 408-258-0786. Thursday, July 18, 7:30 p.m., American and Arabic Musicians Play Music for Love and Peace from the New Ancient Future Planet Passion CD featuring Matthew Montfort (scalloped fretboard guitar), Georges Lammam (Arabic violin), Salah (Arabic percussion), and Doug McKeehan (keyboards) with Special Guest Dancer Sapphira, Valhalla World Music Concert Series, Tallac Historic Site, Highway 89, South Lake Tahoe, CA. Contact: Carol Spain at 530-541-4975. Hi-res publicity photos available online. Sunday, June 2, 1:45 p.m., Matt and Patti 3 featuring Matthew Montfort (scalloped fretboard guitar) and Patti Weiss (violin), and Arshad Syed (tablas), Caledonia Street Fair, Sausalito, CA. Contact: Sausalito Parks & Rec. 415-289-4152. Saturday, June 1, 8 p.m., San Francisco Planet Passion CD Release Party featuring Matthew Montfort (scalloped fretboard guitar) and Patti Weiss (violin), and Arshad Syed (tablas), Englander House Victorian Chamber Concerts, 807 Franklin St., San Francisco, CA. Benefit for the San Francisco Concerto Orchestra. Adm. $15. Info: 415-362-6080. Englanderh@aol.com. Reservations recommended. Send phone number or email address and check payable to: SF Concerto Orchestra, c/o Mark Pope, 807 Franklin St., SF CA 94102. Saturday, May 12, noon, Ancient Future Duet, Whole Earth Festival, University of California, Davis , CA. Sunday, February 17, 8:30 p.m., Ancient Future CD Launch Performance, American and Arabic Musicians Play Music for Love and Peace from the New Ancient Future Planet Passion CD featuring Matthew Montfort (scalloped fretboard guitar), Georges Lammam (Arabic violin), Salah (Arabic percussion), and Doug McKeehan (keyboards) with Special Guest Dancer Sapphira, 19 Broadway, Fairfax, CA. For info, call 415-485-0375. Hi-res publicity photos available online. Saturday, February 9, 3:15 to 4:00 p.m. Ancient Future CD Launch Performance, American and Arabic Musicians Play Music for Love and Peace from the New Ancient Future Planet Passion CD featuring Matthew Montfort (scalloped fretboard guitar), Georges Lammam (Arabic violin), Salah (Arabic percussion), and Doug McKeehan (keyboards) with Special Guest Dancer Estara, First Annual Visionary Art, Music & Video Festival, The Palace of FIne Arts, San Francisco, CA. Adm: $25. Contact 415-381-4061. Festival runs from 11:00 a.m. to 11:00 p.m. Hi-res publicity photos available online.